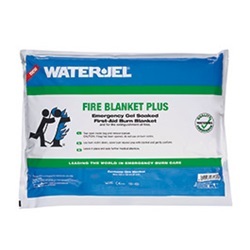 A full-size, single use blanket that adequately covers most adults that can be used to extinguish flames and smoldering clothes. 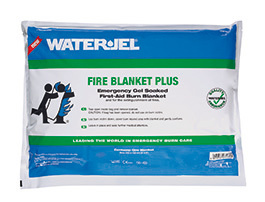 Conveniently packaged in a flat, durable foil pouch that is easily stored. Directions for use clearly defined on pouch.